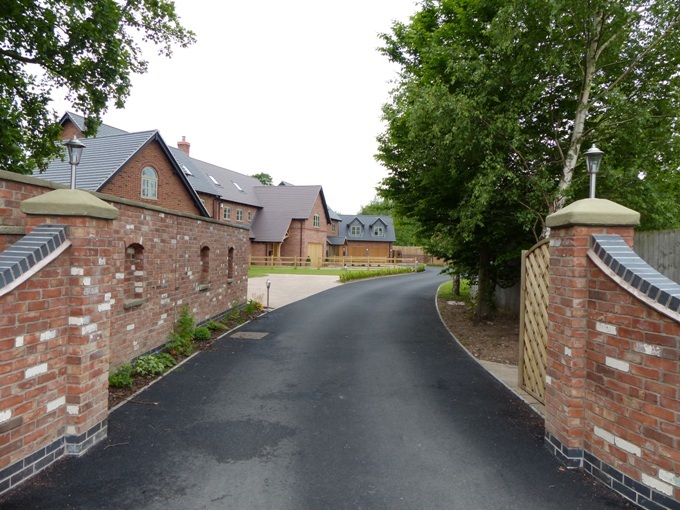 Our client approached bi Design looking to develop a large plot of land in a unique setting into a bespoke executive development. 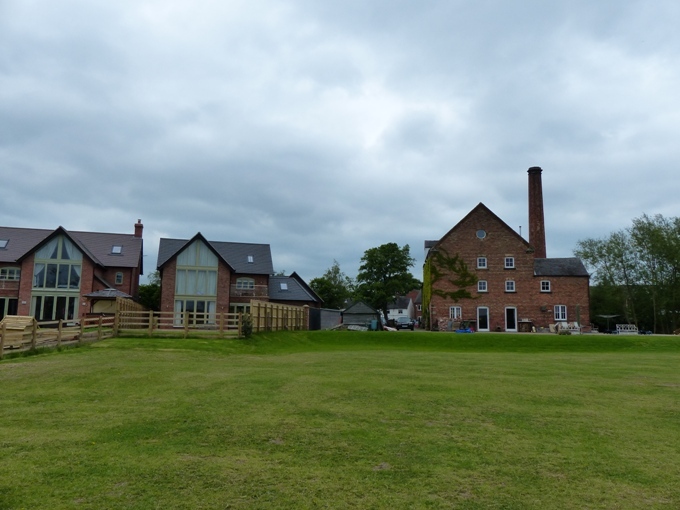 The site is located next to Hilton Mill a traditional 4 storey mill building full of character and charm. The Mill as expected is located next to the river Dove within the flood plane. The challenge for this particular project was to work within the constraints of the environment agencies flood zones. The majority of the site was in flood zone 2 and 3 which meant it was very difficult to get planning permission. The first step towards gaining planning permission was to commission a flood risk assessment which would outline where the different flood zones lie and where if it at all the houses could be located. The flood risk assessment also advises the minimum finished floor levels to construct the houses to prevent flooding within a 1 in a 100 year storm. To ensure there was enough land to create the development compensatory work took place to reduce levels elsewhere on the site within the flood plane to enable raising ground levels and adding building footprints within flood zone 3. 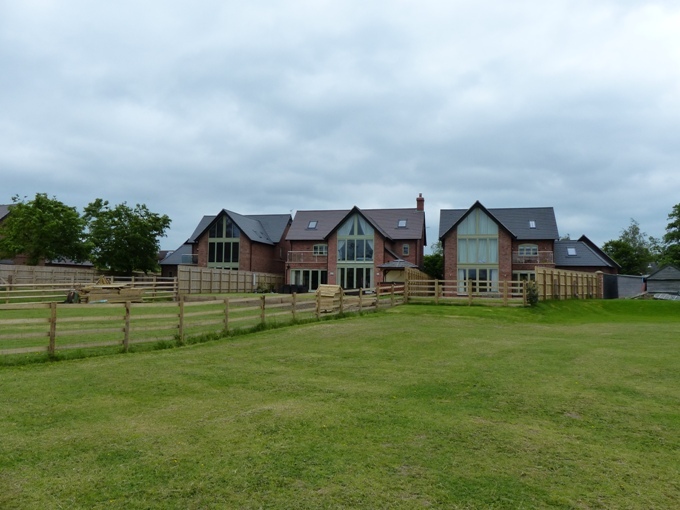 The site was broken down into six bespoke plots. The houses were all traditionally fronted individually designs. 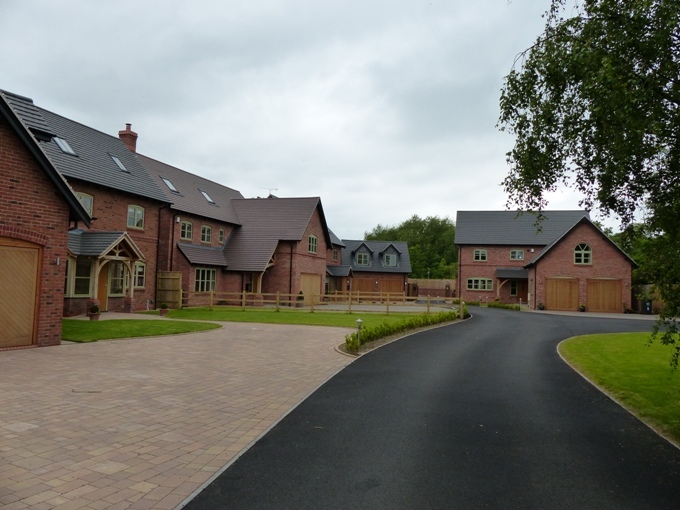 The rear of the houses overlooking the river Dove have matching apex glazing gables to main living spaces and master bedrooms. 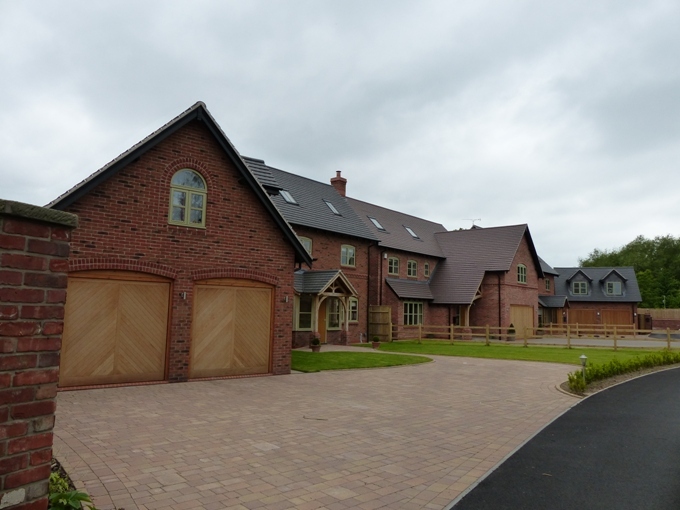 The houses have modern living spaces with large open plan kitchen dining living spaces, gallery staircases and linked garages with rooms over. Each house was designed as two storey with the option to utilise the roof to create two additional bedrooms dependant on the prospective purchasers requirements.